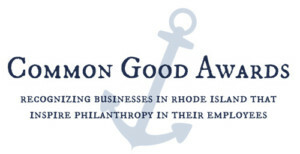 We’re excited to partner with the Rhode Island Foundation to present the first annual Common Good Awards. 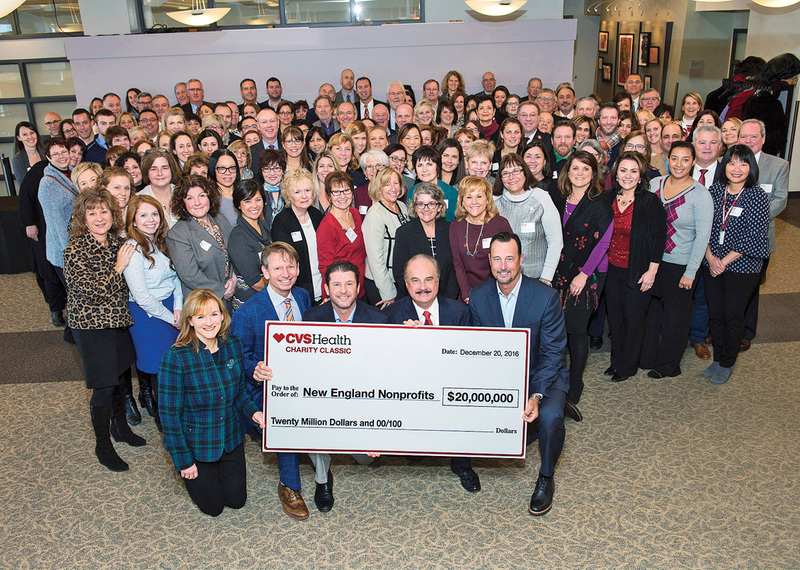 This program recognizes Rhode Island businesses of all sizes that inspire philanthropy in their employees, not by writing a check to a worthy cause, but by encouraging staff to go into the community and help. But, these companies also take it a step further, offering employees incentives including paid time off and donations to charity. The judges were impressed by the many different projects that were submitted for consideration: “A major commitment and effort,” says one. “Hands on opportunities are huge,” says another. So congratulations to the companies recognized here, and a major vote of thanks to everyone who participated. Rhode Island is a better place because of your involvement. Frank Cerilli, director of human resources, the Rhode Island Foundation. Sybil Bailey, human resources director, city of Providence. Erin Donovan-Boyle, executive director, Newport Chamber of Commerce. John Palumbo, owner/publisher, Rhode Island Monthly. What the company does: Hasbro is a global play and entertainment company. Hasbro not only provides entertainment for children worldwide through toys and games, it genuinely cares about them, too. The company encourages its employees to volunteer each month and give back to the community. It runs the Team Hasbro volunteer program, for which employees are granted four hours of paid time off each month to dedicate to volunteering at organizations that benefit children. The employee participation rate is three times the corporate average with 93 percent of more than 5,000 employees taking part. The global headquarters is located in Pawtucket, Rhode Island, where the company makes a difference locally. It leads the Service for Schools initiative; employees visited seventeen Pawtucket schools last year and cleaned up and refreshed interior and exterior spaces to make them more inviting for kids. Hasbro also organizes volunteer efforts to motivate employee involvement with specific local organizations, including Birthday Wishes, Inc., Hasbro Children’s Hospital, Pawtucket Soup Kitchen, Ronald McDonald House of Providence, Pawtucket Backpackers, Pawtucket Boys and Girls Club and Adoption Rhode Island. Employees are given four hours of paid time off each month to volunteer. Hasbro sponsored 285 volunteer projects involving Rhode Island employees. Rhode Island employees logged 28,000 volunteer hours last year. Hasbro employees refreshed 17 public schools in Pawtucket.